Happy Sunday to you! Today we have a big day! FOOTBALL!!!!!!!!! San Francisco against our rivals, Seattle, Go Niner’s!!! 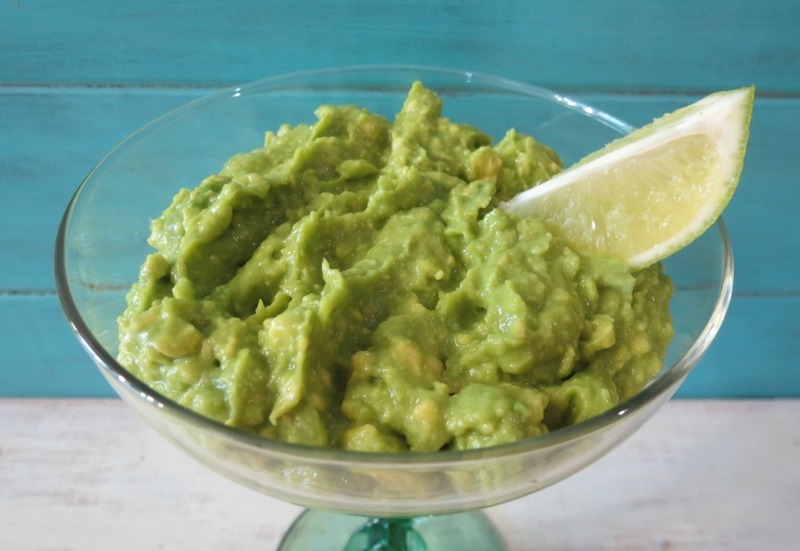 Plus since it is a football day and tomorrow is National Guacamole Day, why not celebrate it on the best day of the week to eat finger foods, Sunday? So today is going to be my National Guacamole Day! Plus what goes good with Guacamole? 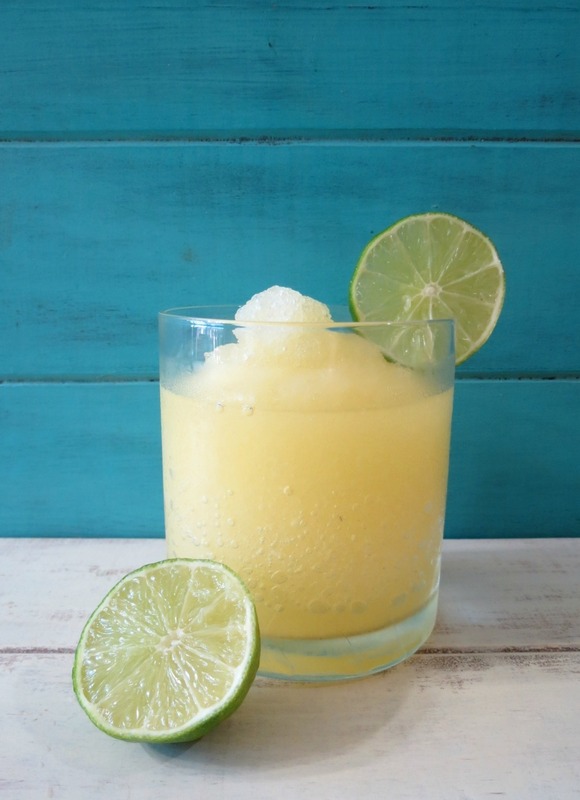 Ummmm, margaritas! I’m bringing it on full force today because I want to sit back relax, throw back a couple of margaritas (you can do that because they are skinny) and enjoy some chips with my guacamole! So let’s get the party started!!! First off the Guacamole! 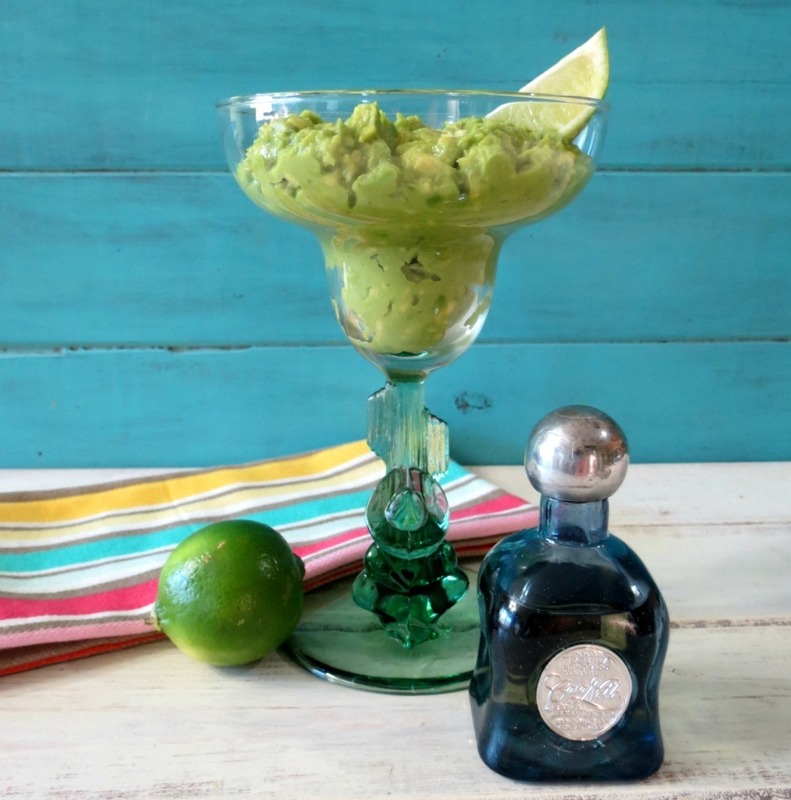 If you like margaritas then I have the perfect guacamole dip for you! 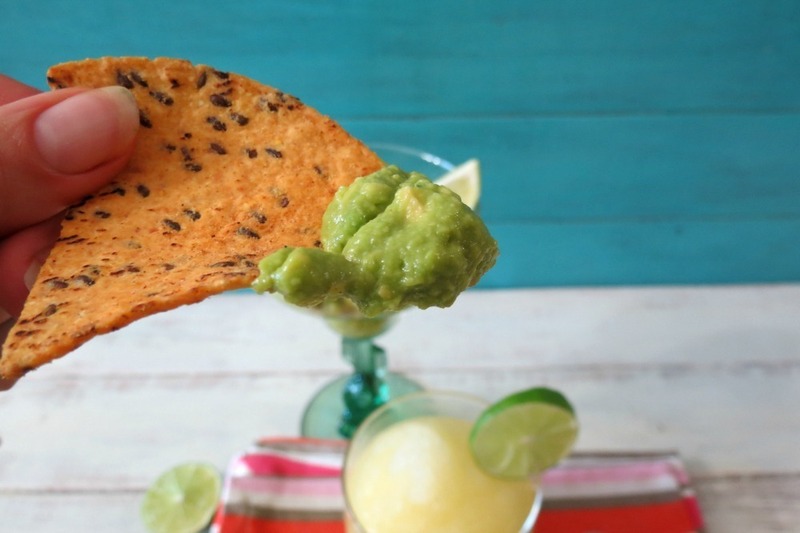 This guacamole is my version of a lime margarita! It’s made with avocado of course, freshly squeezed limes, salt and tequila. Yup, I used tequila in this dip, and I promise you won’t get drunk off it. The flavors are so amazing together and so quick and simple to throw together!! Honestly it’s probably one of the best tasting guacamole’s I have made! I love it!!! I served my guacamole in a cute margarita glass! For a party you could have a couple of these at the end of your party food table!! or on the end tables so people can scoop as they watch the big game!! Plus I personally think serving them in a margarita glass made the dip extra fun!! Who couldn’t resist to scoop out of a margarita glass? 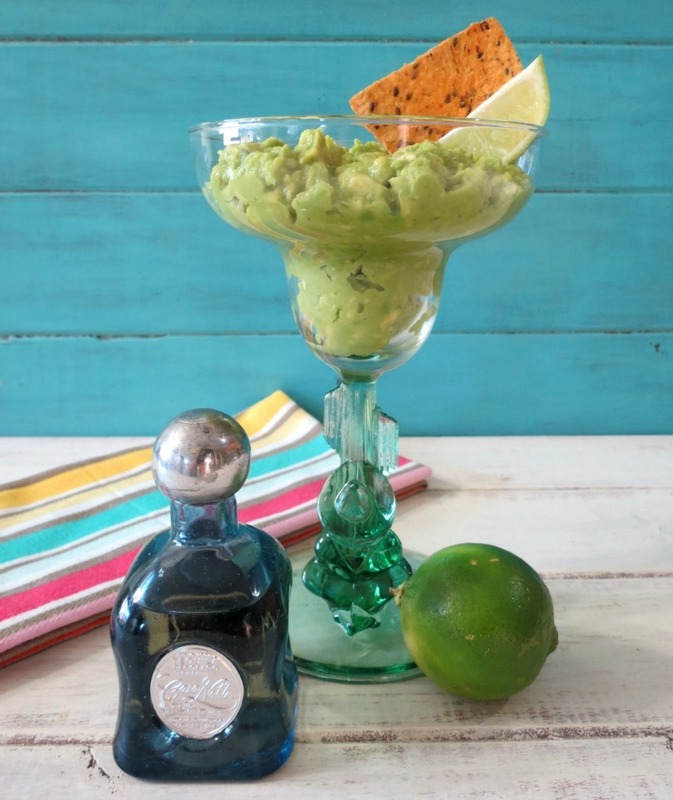 I decided on making Margarita Lime Guacamole because I received a sample of Casa Noble tequila. The tequila bottle is so cute too and has a wonderful flavor. 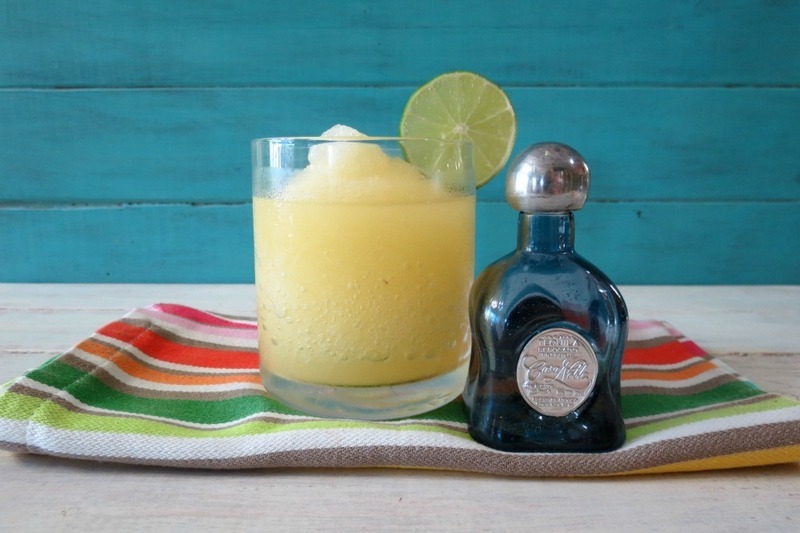 So with my tequila, I thought, why not have fun with it and see what kind of recipes I can make with it! And let me tell you avocado and tequila go so well together! Here is the picture of me scooping out some of my guac. I used the Spicy Black Bean and Quinoa chips from Trader Joe’s. They are by far my favorite tortilla chip. They kind of remind me of a dorito but healthy! Also if your making your guacamole in advance be sure to add the avocado pit to it. The pit prevents the guacamole from turning that ugly brown color. When ever an avocado hits the air and oxidizes and it turns ugly! No one wants and ugly guacamole! If your only using part of an avocado, leave the pit with it when you store it in the refrigerator. The your avocado will last a couple of days before turning brown. 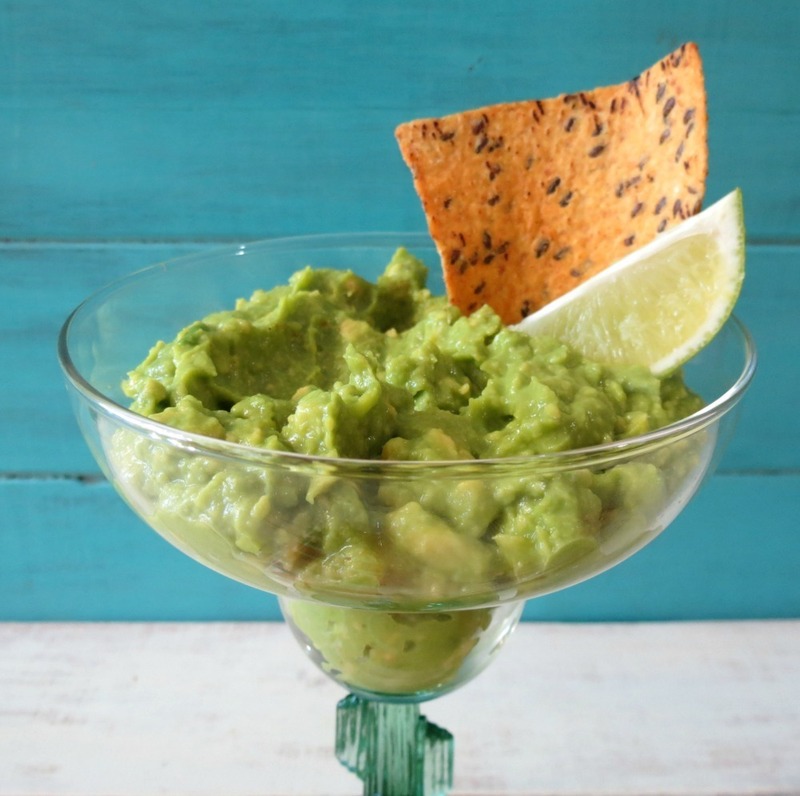 A healthy, low calorie guacamole made with avocado, salt, lime and tequila served with a Skinny Lime Margarita made with fresh limes, salt and tequila. 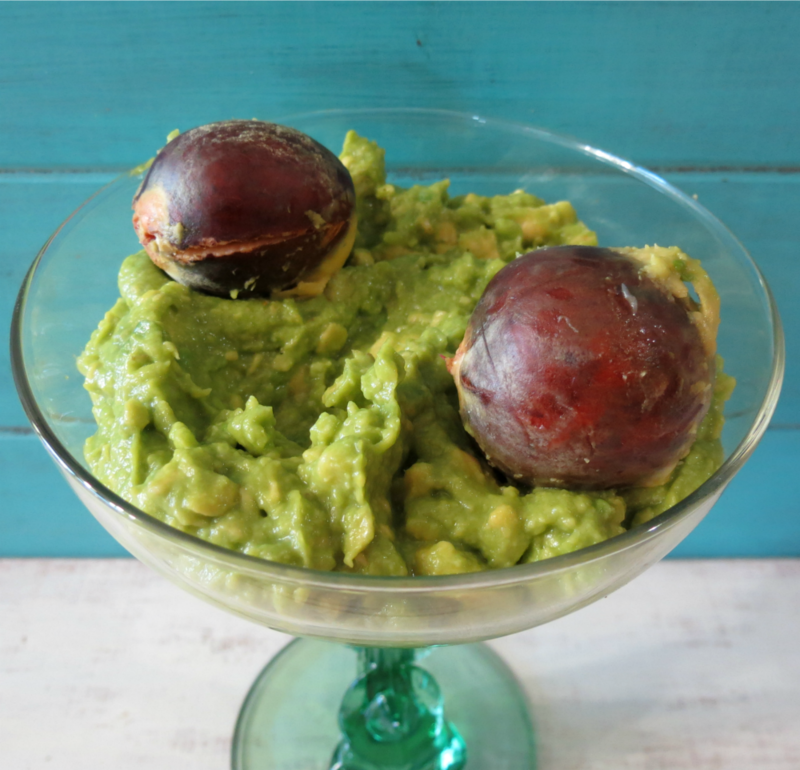 In a bowl, add avocado and mash with a spoon or fork. Add lime juice, mix well. Add tequila, mix well. Add the salt and give a taste to add more salt if needed. This past week, I went to the Mexican grocery store and picked up some fresh limes. Hey they were 10 for a dollar! I couldn’t pass up the deal! But WOWZERS!! These are some tart and I mean tart limes. I don’t think I have ever had such a tart lime. They give you the zippies. Do you know what zippies are? It’s that funny feeling you get in your mouth when you taste something sour. I don’t know what you call that, so I think zippies is a good word for it!! 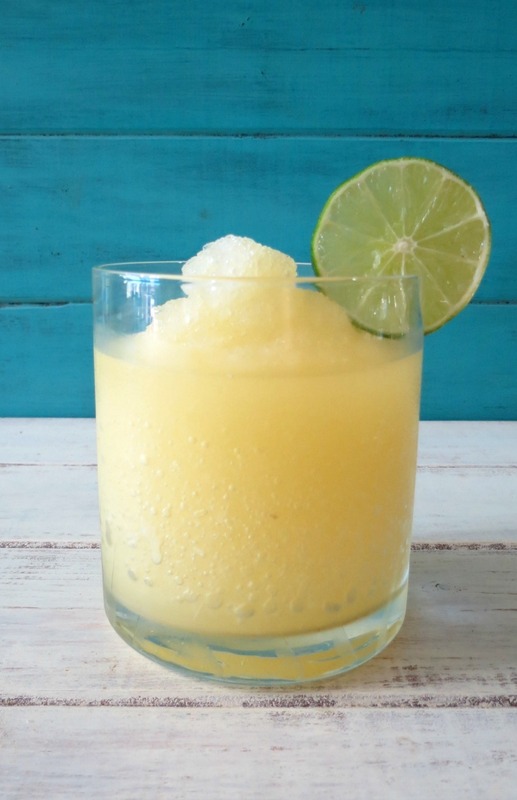 So when you make your margarita, you may have to add more sugar then what I put in the recipe due to the zippy factor! Now this is a fab, Skinny Margarita! 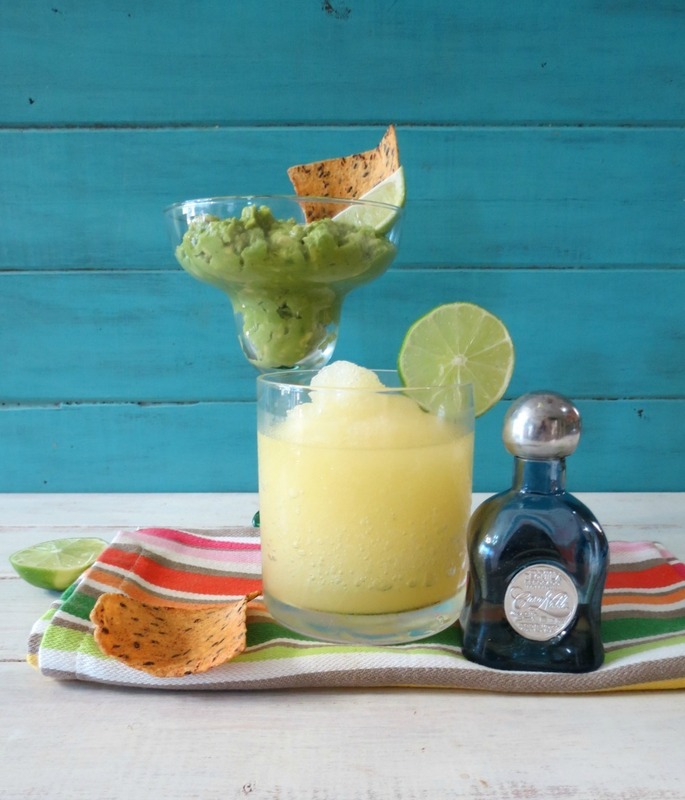 It is made with fresh limes, stevia and Casa Noble Tequila. 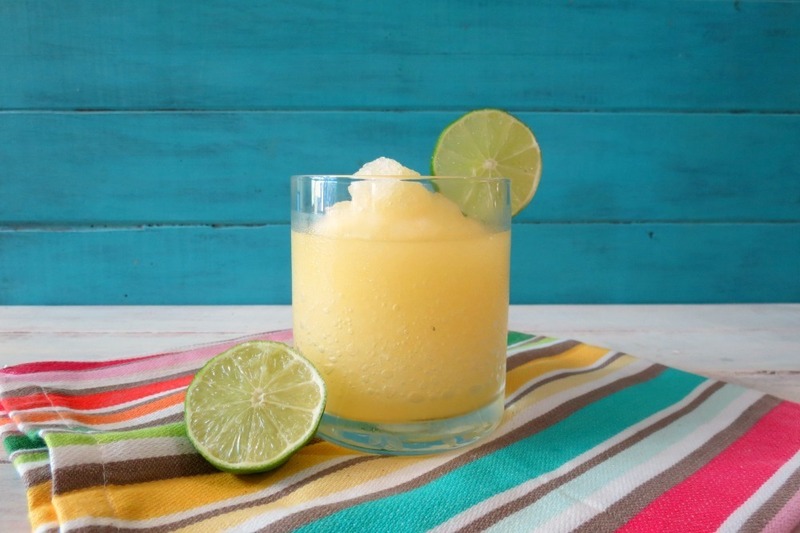 For one cup of this refreshing drink comes in at under 100 calories! LOVES it! You can’t beat that in a margarita. All that fancy stuff you get at restaurants come in at over 300 calories if not more! I also think the home version is way better!!! And way better for my waistline! But be warned these drinks are a little strong! 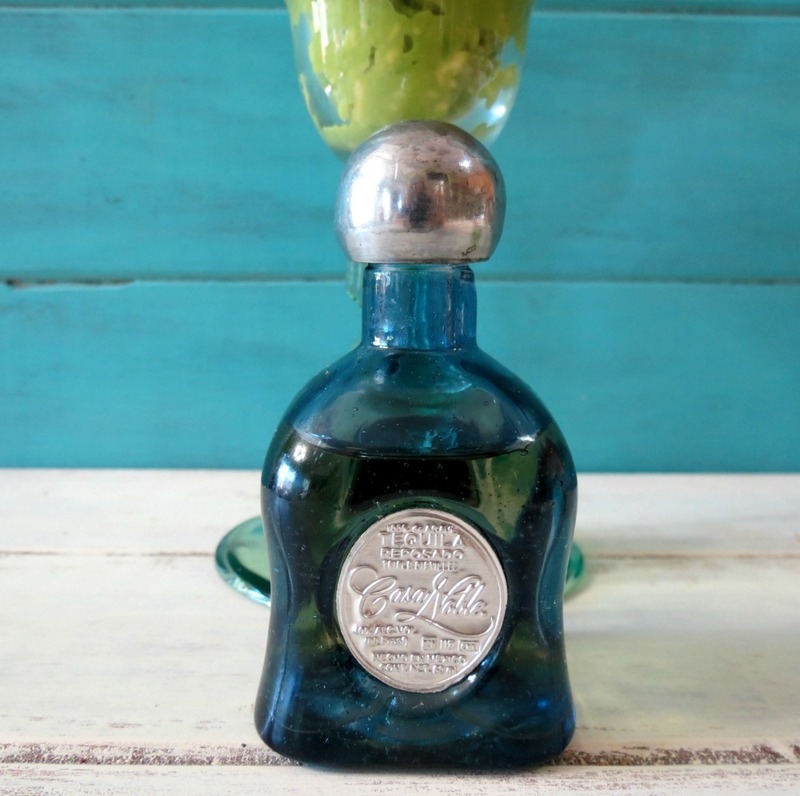 Let me give you some scoop on the Casa Noble Tequila. Casa Noble Reposado is aged in new French White Oak barrels. The lightly charred French White Oak gives notes of vanilla, chocolate and butter in addition to the citrus and sweet agave of our tequila. Umm, no wonder why I like it! Plus it’s aged for 365 days,when most tequila is aged for two months. Next time your at the store and your looking for tequila look for the beautiful hand blown cobalt blue decanter, adorned with an exquisite pewter engraved label and top. Trust me you will love this tequila. I really had a lot of fun with these two recipes today! You know how much I love Mexican food and these two recipes make a great pair! However, I also served today’s recipes with some beef and bean burritos and oh boy did they all go perfect together!! One of the best dinners ever!!! I am really such a Mexican freak!! My Husband thinks I’m crazy. Maybe I am? But it’s just so good!! I can see why you had fun with these recipes Jennifer. They both sound wonderful! Thank you Chris! It was so fun to make and even better to eat and drink! Just what the doctor ordered for this margarita fan!! 😉 Delicious recipes! Tequila for all of my friends! 🙂 Great post!